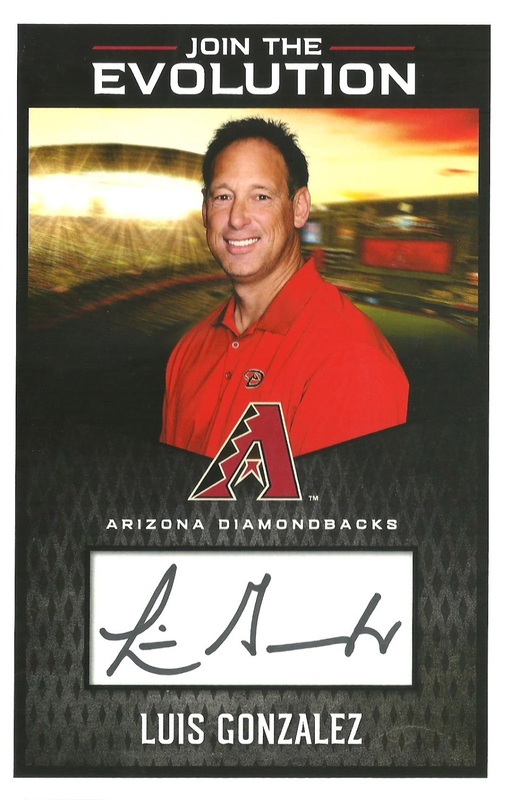 Not sure if many baseball fans even know, but there is an Arizona League as part of Minor League Baseball. It's the lowest level of pro ball out there and is sometimes referred to as the Arizona Rookie League. It's designed for players that are in their first two years of professional ball. As a result, it's rosters are mostly filled with player from the Dominican Republic and high school players from the draft which takes place just prior to the start of the season, which is mid to late June. 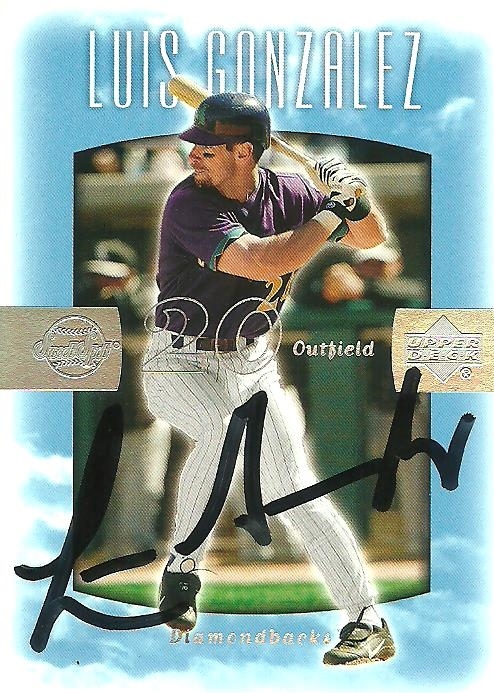 Sometimes major league players will take part in a game or two as part of a rehab assignment. 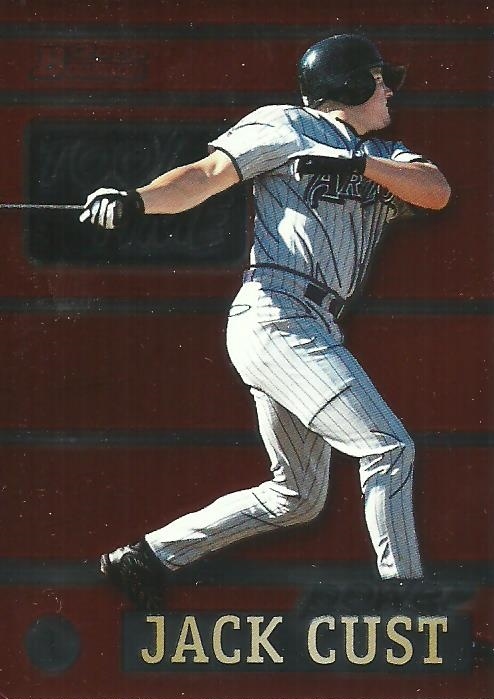 Games are played at the spring training stadiums or on one of the practice fields at the spring training complexes in front of only a handful of fans who pay nothing for a chance to watch players who they've never heard of play the game of baseball. If you like baseball, you probably won't enjoy it. 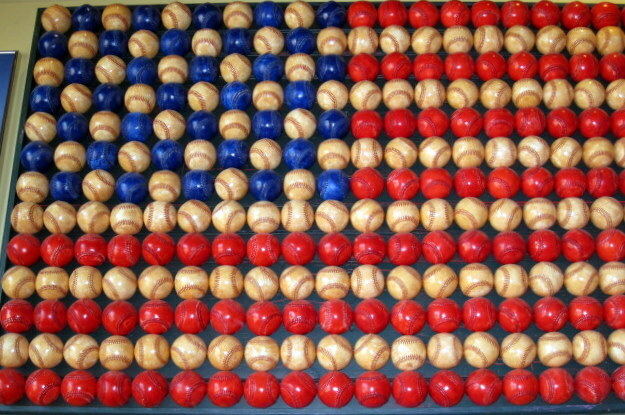 If you love baseball you might. 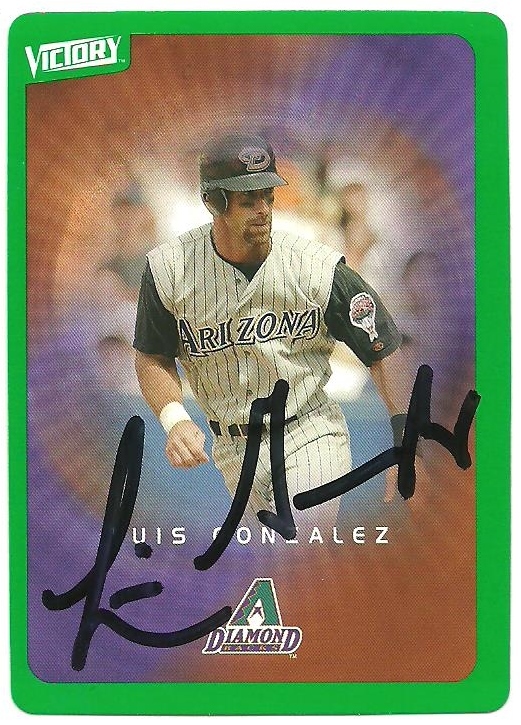 I happen to love baseball and I love watching the Arizona League. 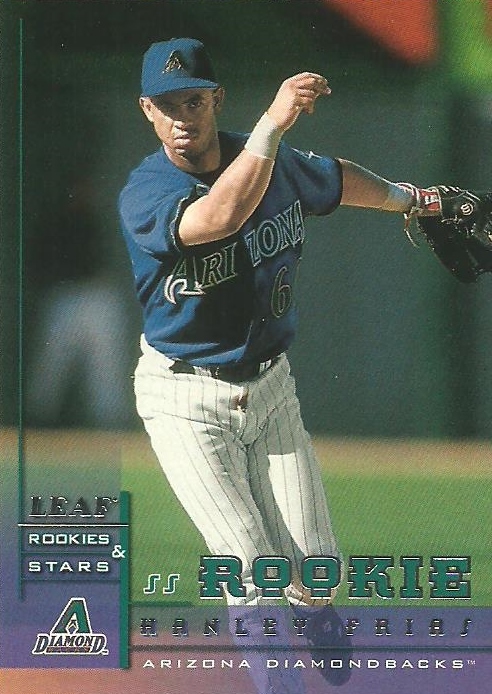 Games start around 7 pm each night in an effort to escape the harsh Arizona sun, but temperatures are still regularly over 100 degrees. I happen to live in Goodyear, AZ which is the spring training home of the Cincinnati Reds and the Cleveland Indians, so we get to watch those organizations Arizona League team compete almost every night. Occasionally the teams have a night off or are both playing away, so we did venture over to Camelback Ranch one night last week to watch the Dodgers, but I think we'll stick to Goodyear for the most part. Not only is it fun to watch a free baseball game, but since the crowds are scarce, the odds of landing a baseball are greatly increased. I think we went to 5 games during the first week, usually staying anywhere from two - nine innings, and we ended up with 30 baseballs. 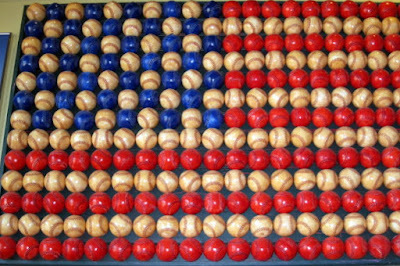 My goals is to eventually create an American flag out of the baseballs. You may have seen one at your local Red Robin restaurant. That's where I got the inspiration. With the 30 balls so far this year and the other various balls we've gotten at spring training, major league games, and from Arizona League games in years past, we have about 125 balls, so we're about halfway there. Last Saturday we went to watch the Indians take on the San Francisco Giants. One of the Giants players hit a home run over the left field fence and my boys and I were able to take it down. When we got back to our seats the Giants were taking the field and the player warming up the left fielder was talking to the second baseman in Spanish. I couldn't understand much, but I did hear the word "primero" a couple of times and I knew what that meant. After they were done warming up the player who was playing catch with the left fielder came over and said that it was the players first home run and he'd like to trade us for it after the game. We agreed. 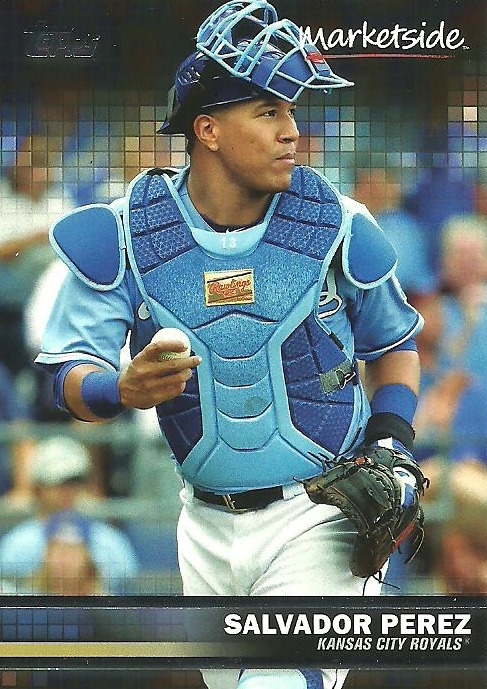 I checked my phone and quickly discovered that it was Mike Bernal that hit the home run. 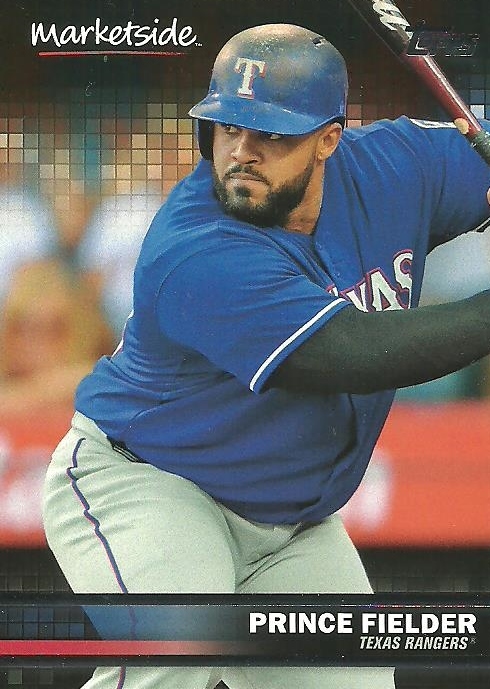 Mike was drafted in the 29th round of the 2016 MLB draft by the Giants after playing college ball at Arkansas. 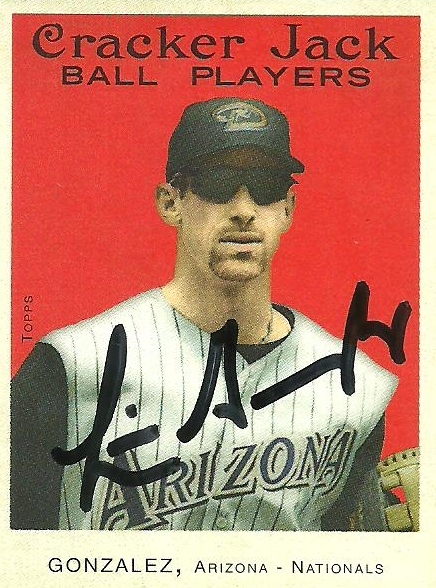 I found his Twitter handle and posted a picture of the ball congratulating him on his first home run as a pro. Mike is the second orange dot from the left. After the game we met him at the fence. He was really nice and thanked us for the ball. He gave us another ball and two batting gloves. 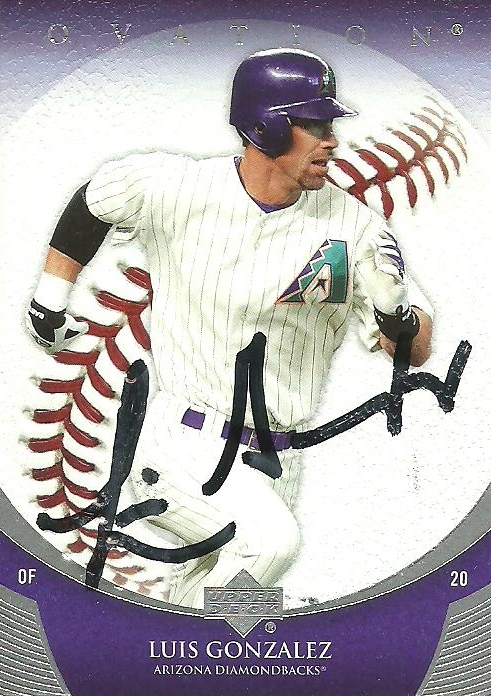 Luckily I had a sharpie in my bag so I asked if he'd sign them and he did. They turned out great! The gloves are in pretty good shape, but you can tell that they are game-used. 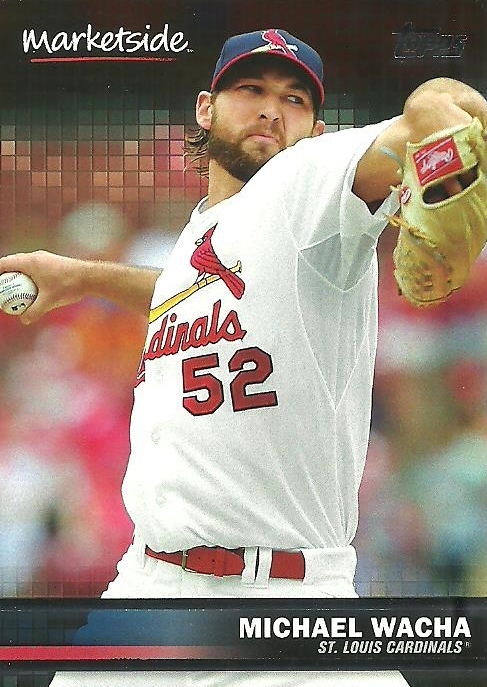 Mike pointed out the A on the back from his time at Arkansas. 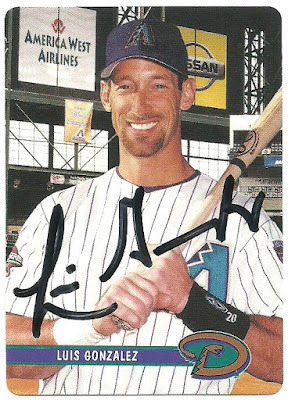 We will definitely be following Mike throughout his career and wish him well! Like I said, the games are free and a lot of fun to watch for a baseball junkie like myself. Throw in some baseballs and my kids are hooked. 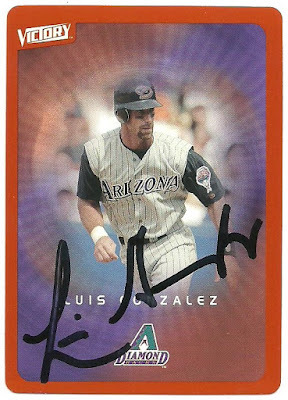 The signed batting gloves are great, but it's spending time with my kids and the memories we make that are the best part of the Arizona League in my opinion. 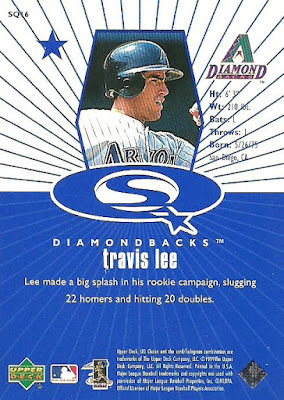 One more Sports Card Collectors contest plug. 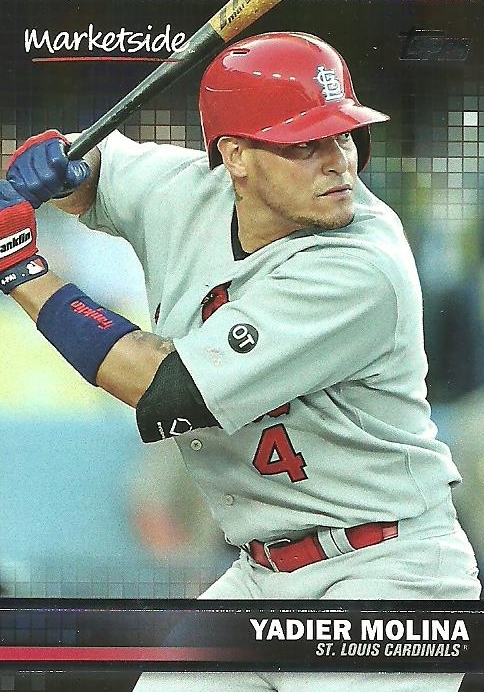 Sport Card Collector is running a month long contest where you have to pick the winners from a list of upcoming games. It's only the second week, so if you haven't joined yet you still have time and if you a part of the contest but haven't made your picks yet for this week, do so by Friday. 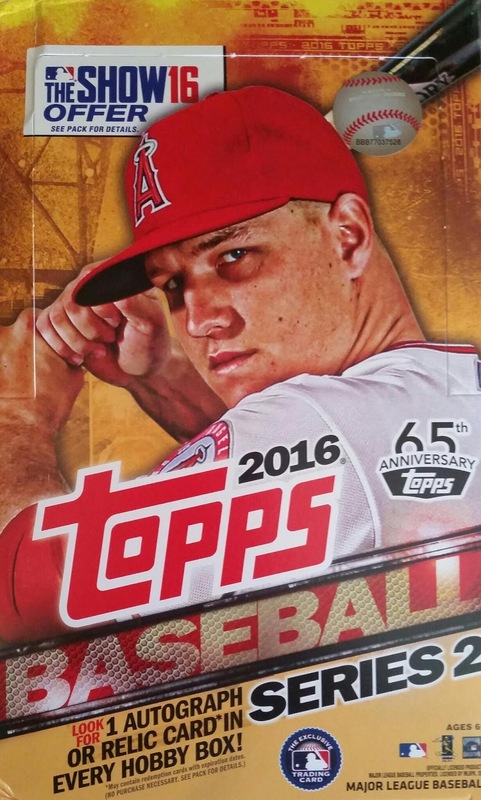 I mentioned in my last post about Sport Card Collectors contest that I hadn't opened any 2016 Topps Series 2 yet. 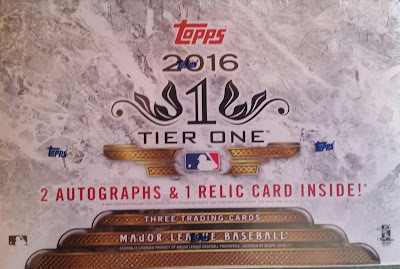 When it comes to Sport Card Collectors next contest, I know I won't be purchasing any boxes of 2016 Topps Tier 1. It's too rich for my blood, especially at the moment. Plus I like to pick up singles anyways to save money. But that doesn't mean I don't like watching others open boxes of the stuff. 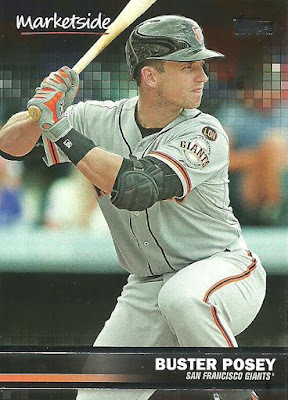 Sport Card Collectors pulled a beauty in his box. 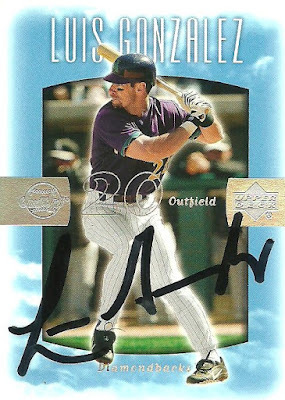 I'll just say it is an on card auto of a current Dodger pitcher, but you need to go check it out yourself. Click here to enter to win a nice card from his box. Enter before it's too late. If you're like me you love contests. I think most people like contests. But I think card collectors love contests. 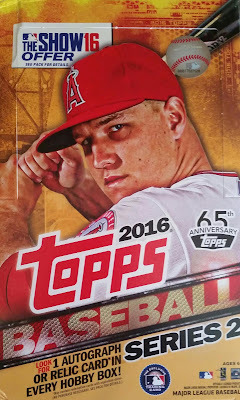 When you open a pack of cards, it's basically a contest, right? 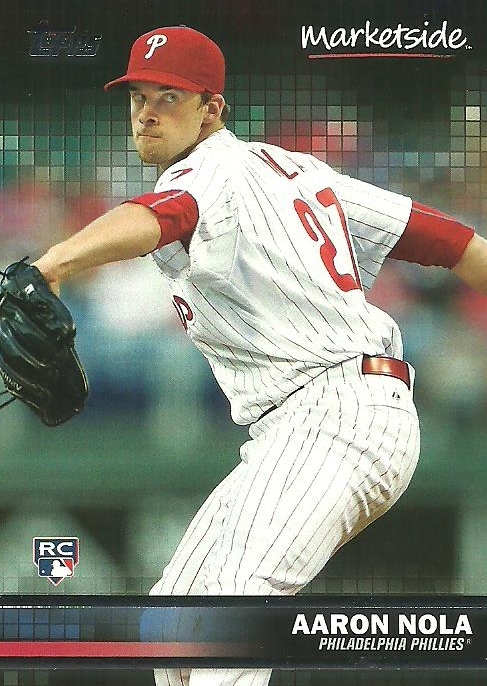 You hope that you win by getting a great card. 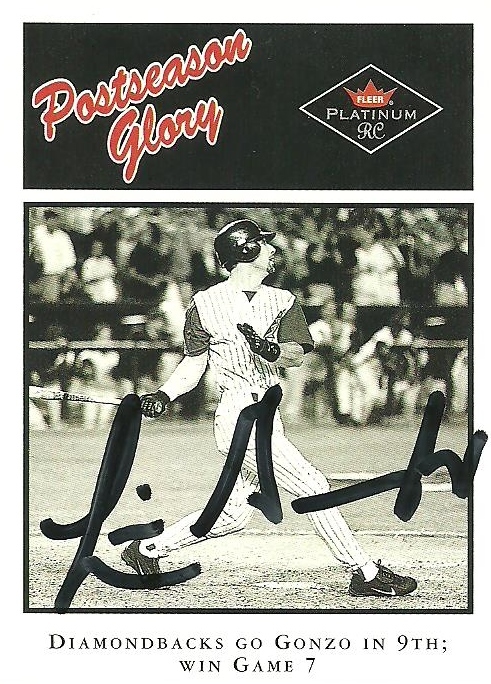 In the blogosphere there is nobody out there that runs more contests than Sport Card Collectors. He's currently running three different contests. 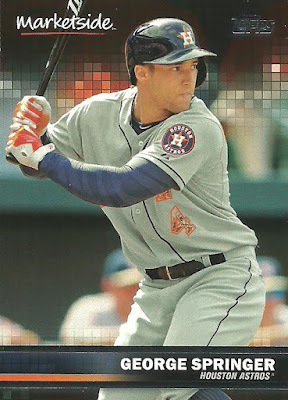 Today is the last day to join his 2016 Topps Series 2 contest. Click here to enter. I haven't had a chance to get any Series 2 yet, so I enjoy seeing different box breaks on the blogosphere and YouTube. Good luck on the contest! I started this blog 7 years ago today. I've never been great about commemorating my blogoversary. Heck, I didn't even have a good first post. June 19, 2009 - Started blog with this random post. June 19, 2010 - No post. June 19, 2011 - Father's Day and my blogoversary landed on the same day, just like today, and I posted about it. June 19, 2012 - No mention of my blogoversary, but I did post on that day. June 19, 2013 - No post. June 19, 2014 - I posted about how Lou Gehrig and I have something in common. June 19, 2015 - I posted, but not about my blogoversary. So out of the 7 years, I've only remembered and posted about it 3 times, counting today. Since every post should have some cards, here you go. 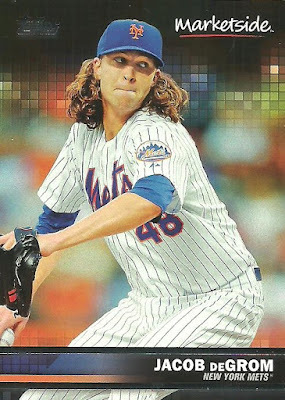 Let's start with this Jacob deGrom since today is his birthday. Here are the other 8 cards from 3 packs of Topps Wal-Mart Marketside Pizza cards. P-town Tom, of the blog Waiting 'til Next Year has been busy this summer. He's been relocating boat loads of chipmunks, going to estate sales, taking in some minor league ball, and buying a 2016 Topps National League Standouts retail pack among other things and yet he had enough time to send me out a trade package. Thank you Tom! 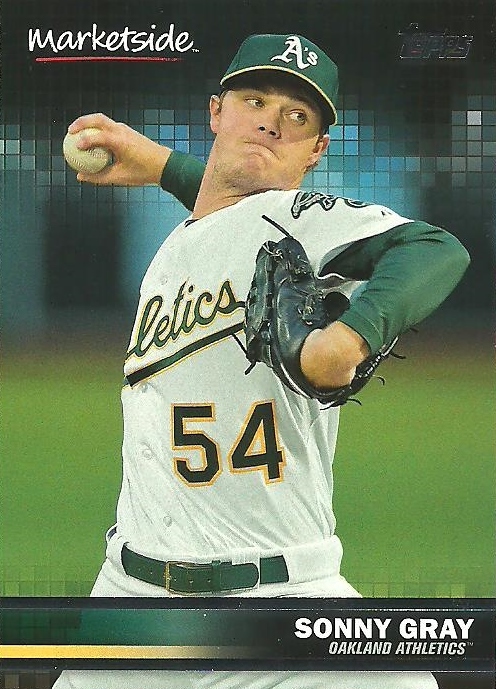 I mentioned that Tom bought a 2016 Topps National League Standouts pack and he offered up everything for trade besides his beloved Cubs. I'm always up for adding a new Goldy card to my collection, so I inquired about the D-Backs (Goldschmidt and Grenkie) and a few days later a package from IL arrived in my mailbox. As far as I can tell there are only two things different about the National League Standouts cards from the regular Topps base cards. 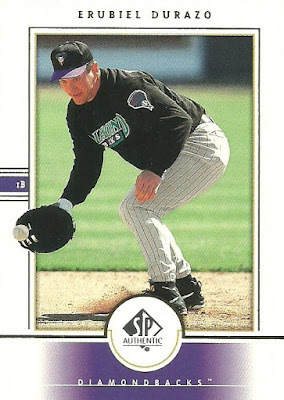 ...and the numbering on the back indicates it is from a Team Set and has an NL prefix. 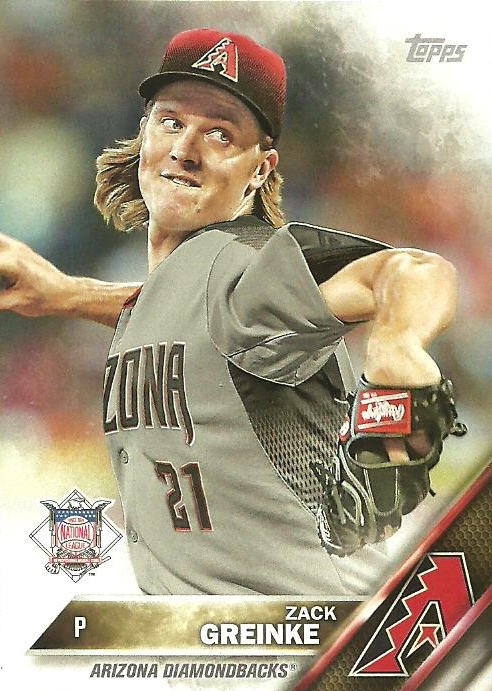 Here is the Greinke in all it's airbrushed glory. These weren't the only cards that Tom sent and since I showed the fronts and backs of these two cards, I thought I'd show the front and backs of all the cards he sent. 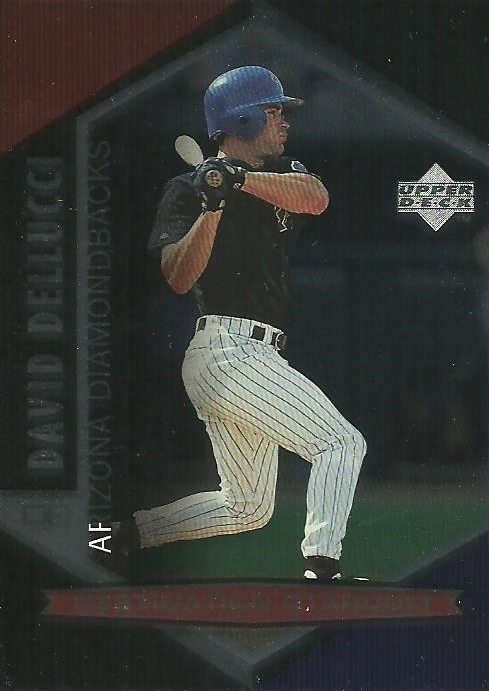 David Dellucci was the 45th pick in the Diamondbacks/Rays 1997 expansion draft. He wasn't an Opening Day starter for the D-Backs in 1998, but he did play in 124 games for the D-Backs that first season and played with AZ through 2003, including 115 games during the 2001 season in which the D-Backs won the World Series. 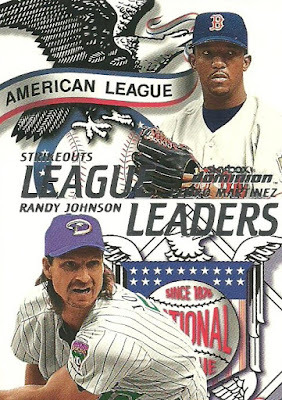 Check out this Skybox Dominion Strikeout Leaders card featuring Pedro Martinez and Randy Johnson. 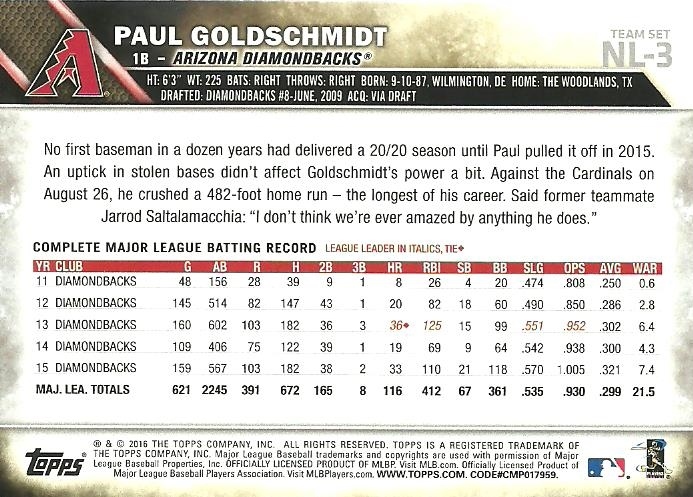 The back really puts things into perspective when it comes to this card. 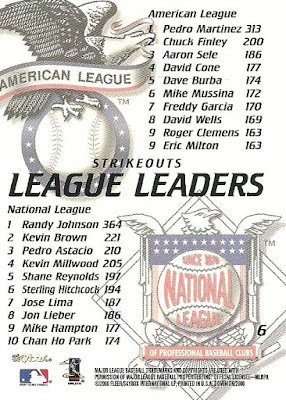 Take a look at the #2 in each league. 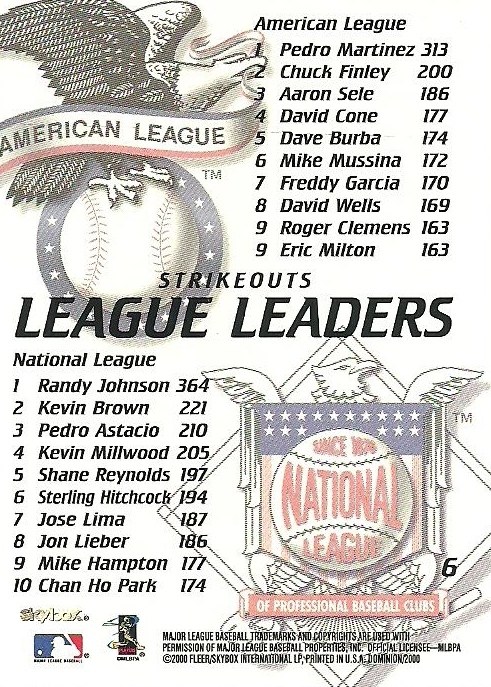 Both Pedro and RJ had 100+ more strikeouts than the next closest pitcher. Talk about dominating. 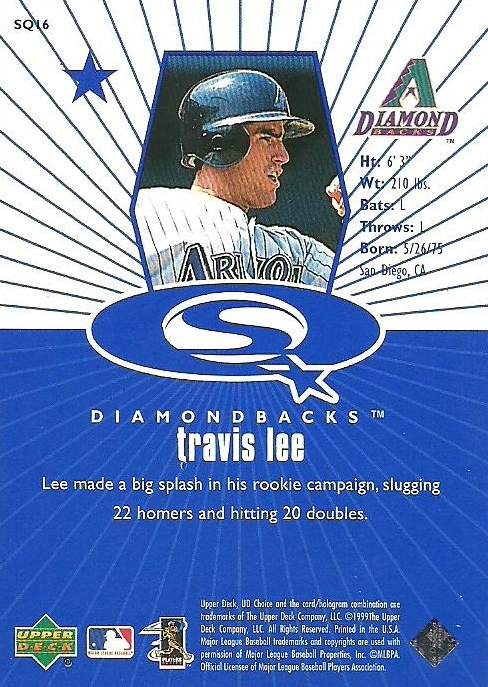 Travis Lee was my first favorite D-Backs player. 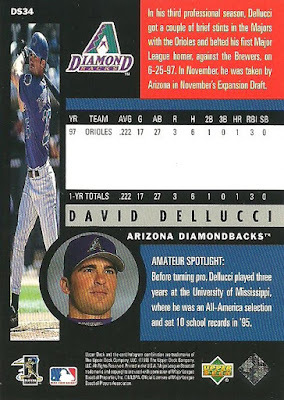 He was the man here in AZ in 1998! He holds the distinction of getting the first Diamondbacks hit (single) and home run on March 31, 1998, as well as scoring the first run and recording the first RBI for the D-Backs as well. I was at that game. 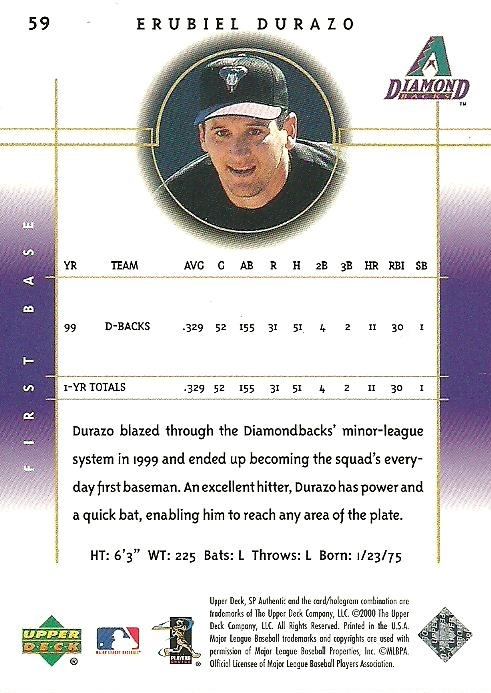 Check out Durazo's 1999 stats. 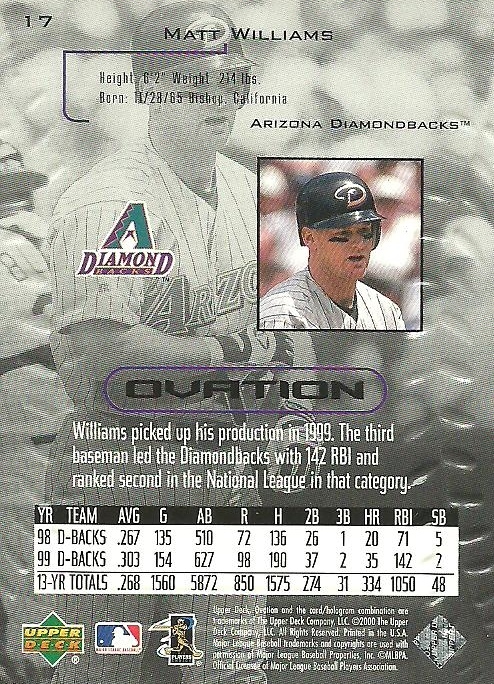 He batted .329 with 11 home runs in 52 games. Durazo was also part of the D-Backs 2001 World Series championship team. 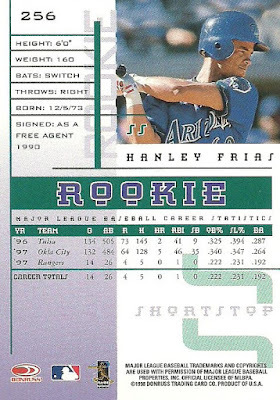 Hanley Frias is a player that I don't really remember. 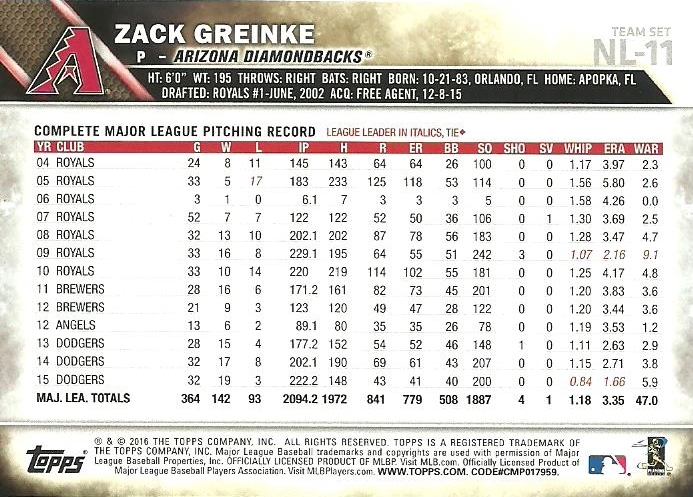 Probably because he only played 159 games over the course of his three years with the D-Backs. After 2000 he never played in the majors. Loved these Ovation cards. The seems are embossed, so you can feel them. 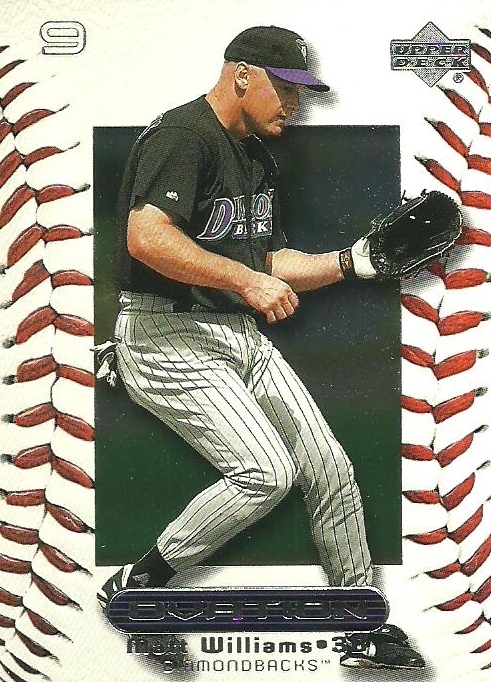 I miss Upper Deck baseball. You can't really see it in the scan, but this Jack Cust card is from a Bowman insert set called Tool Time. Probably a play on the hit sit-com Home Improvement featuring Tim Allen in which he had a home improvement show called Tool Time. Check out the back. 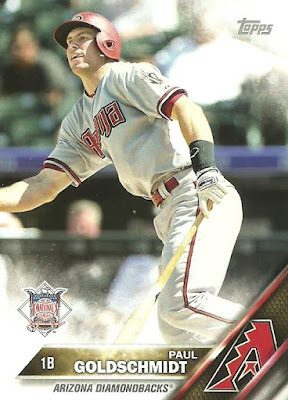 Someone thought Jack was poised to become "one of the game's great home run hitters". 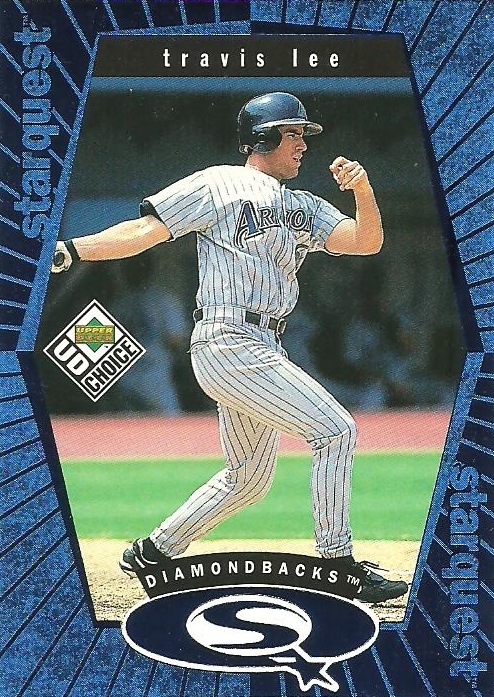 Jack didn't even hit a home run as a Diamondback, although he did hit 105 home runs during his 10 year career. 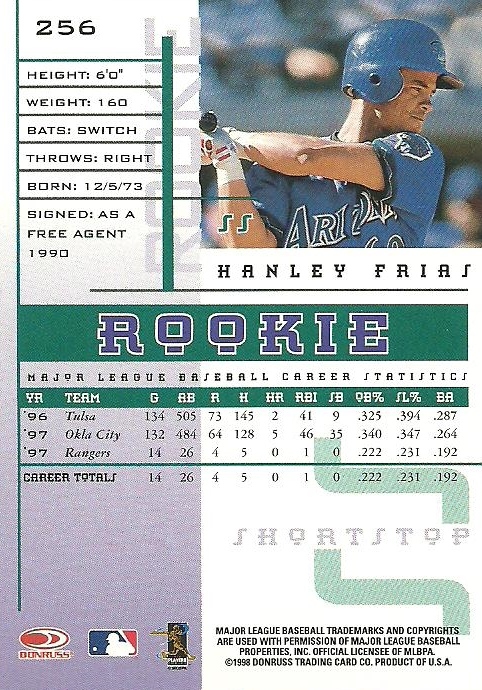 I'd say he fell a little short of "one of the game's great home run hitters". 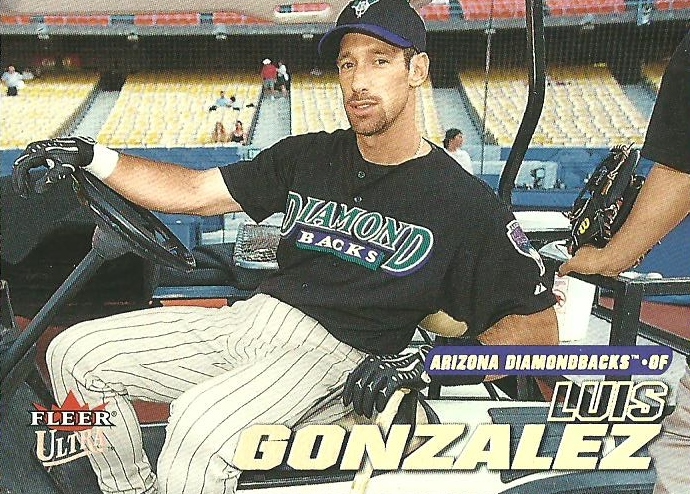 This 2002 Fleer Ultra Luis Gonzalez card is my favorite card from the bunch that Tom sent. It features Gonzo lounging in a golf cart. I also don't have this card, so it is new to my collection. 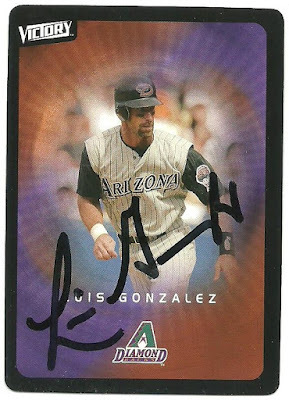 I know I don't have it because I just went through all of my Gonzo cards before attending the Luis Gonzalez signing last week. Thanks again Tom for some great cards! 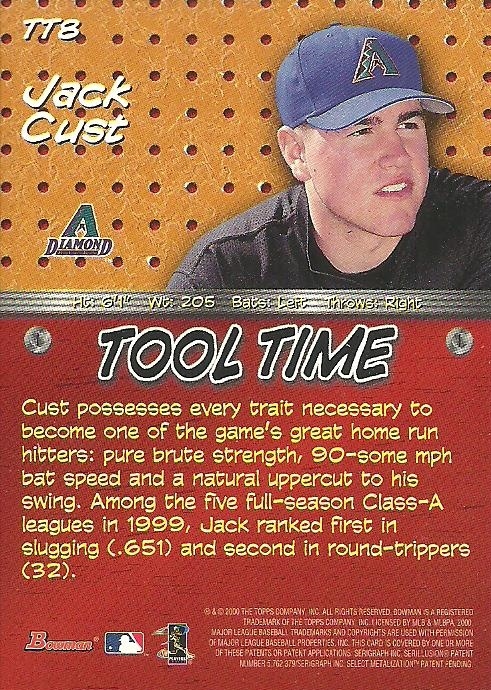 I'll get some Cubs in the mail shortly! Last Friday the Diamondbacks had an event at a local Sprint store featuring D-Backs great Luis Gonzalez. We got there about an hour and 15 minutes before he was scheduled to be there. Just like the event a few weeks ago with Yasmany Tomas, they provided pizza and cold bottled water while we waited. Baxter showed up about the same time as Gonzo and we were able to grab a quick picture before going inside to meet Gonzo. They were also doing a drawing throughout the event and I won 4 tickets to a D-Backs game of my choice. I picked the July 2nd game which is Paul Goldschmidt bobblehead night. 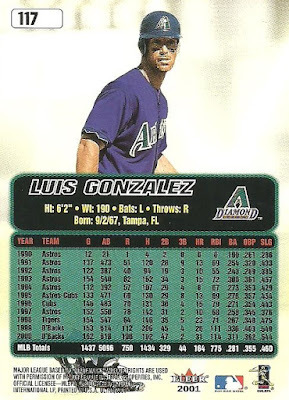 Gonzo was great as usual! He probably spent about 5 minutes talking to my boys while he signed our autographs. He asked them what they were doing this summer, if they played baseball and what positions they played, how they did in school, who was the biggest trouble maker, that sort of stuff. 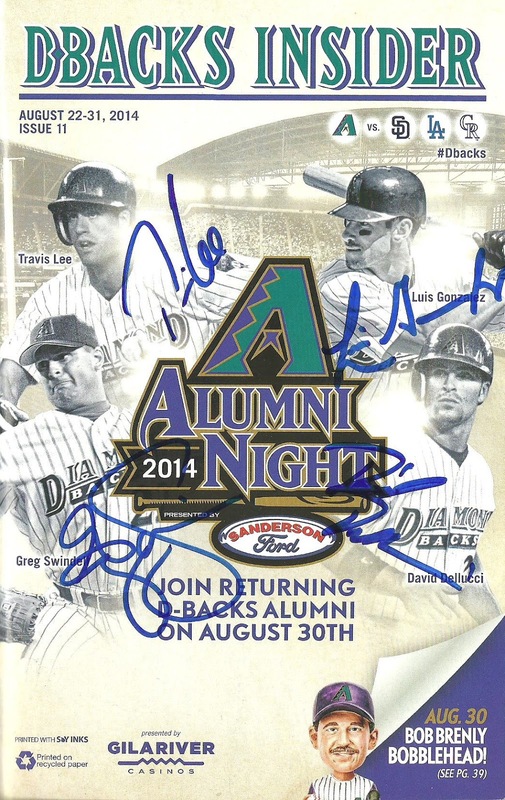 I got this D-Backs Insider magazine signed by Travis Lee, Greg Swindell, and David Dellucci at the Alumni game back on August 30, 2014. Feels good to get it finished. This photo was probably from about 5 years ago. 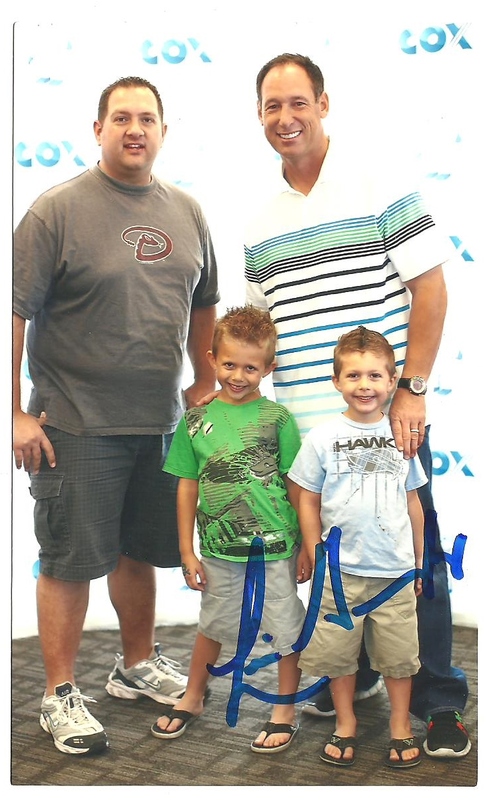 We had gone to an event at a Cox store and met Gonzo. Cox took the pictures and printed them out and gave them to us. 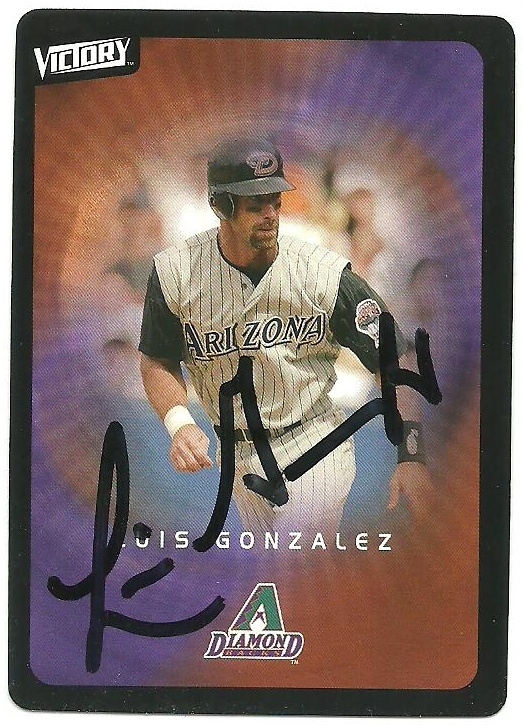 Gonzalez signed a bunch of the team issued postcards and so we each got one of them before we left.